Climate change is already upon us. We should act -- even if it's too late. Most mildly sentient Americans are reeling from the collection of calamities that confront us. But none, arguably, is basic and apocalyptic save one: climate change. Honorable mention should probably go to human greed. But climate change is about losing the whole game: human habitability of our planet. 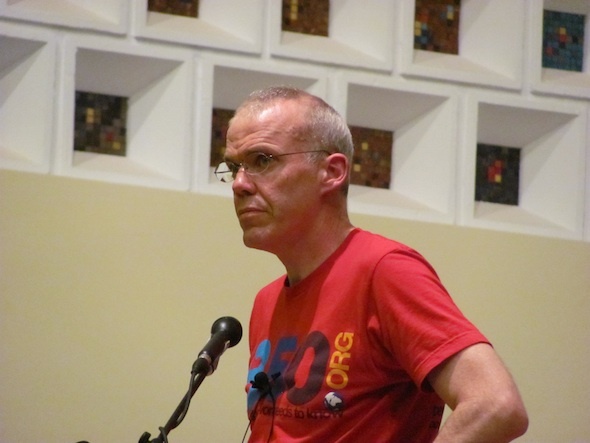 Most famously, McKibben’s recent activism has focused on the group 350.org that, in turn, has seized on the scientific finding that life as we know it is vaguely sustainable only if we can get the concentration of carbon dioxide in the atmosphere back down to 350 parts per million (it’s now at about 390 and rising at about 2.5 ppm per year, McKibben said). The scientific data and their implications are, for McKibben, “horrifying,” but “that number is what we decided to organize around,” in part because “Arabic numerals transcend linguistic boundaries.” On Oct. 24, 2009, demonstrations focusing on that 350 number were held in 5,200 cities in 181 countries (including Boulder, as was reported here). It was the largest organized political event in human history. This brings us to the conclusion of our little tale of a speech, in an echo-y church in Boulder, Colorado, on April 27, 2010. There’s no guarantee that taking action will reverse things in time, he says, but we should try. 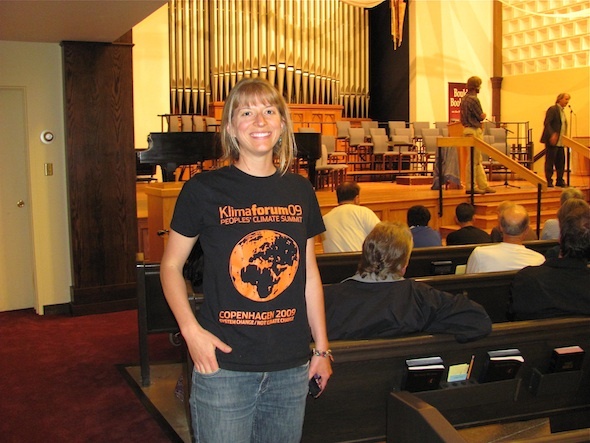 And maybe 5 percent of the population know who Bill McKibben is. The media can jabber on about a lot of things — in the case of television and big-circulation magazines, usually the dumber the topic the better. Yet Bill McKibben’s name is not a household word. Given the grave finality of the message he’s bearing, shouldn’t it be?